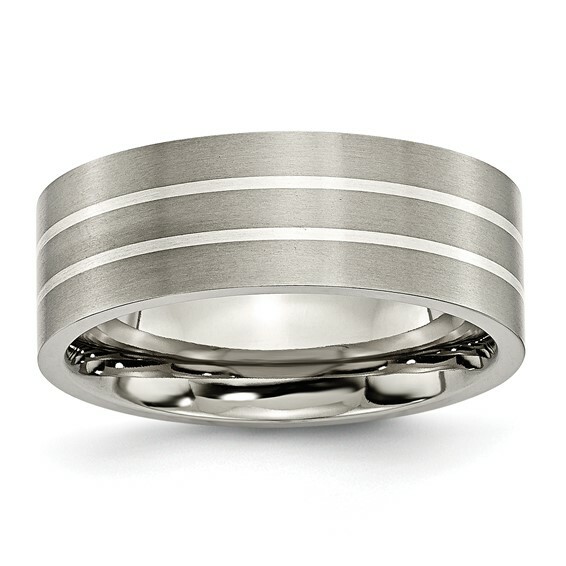 Titanium wedding band has a brushed finish and flat center. Two thin sterling silver inlays. Width: 8mm. Comfort fit, made of commercially pure [CP] titanium in China. Available while supplies last.